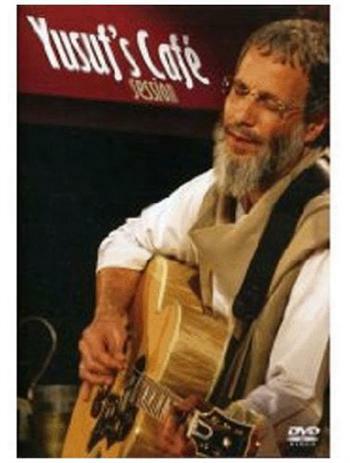 This review is from: Yusuf's Cafe Session (DVD). This is just about perfect....a wonderful concert filmed with taste and style..performed by the great Cat Stevens (Yusuf Islam) with panache and exquisite musicianship...just lovely. Their is also a BONUS 1hr BBC documentary on this amazing singer/songwriter. Another section of the DVD has a 15 minute making of for his latest album and its really terrific. It also has a couple of beautifully filmed videos for his new songs and Cat/Yusuf sits on a couch with a nylon string guitar and plays solo versions of Peace Train and Midday....and Where do the Children Play?...wow what an embarrasment of riches..almost 3 hours of glorious music!!! This is a perfect companion to the existing film from 1976 Majikat...just 30 years later!!! I can't stress enough the quality of the production...its just filmed stunningly beautifully...first class in every way and on top of it...Cat/Yusuf emerges as one of the kindest souls to walk the planet and most talented as well... Richardson "Clarence" (Vine Voice). Hip-O Records (2007), DVD, Rated: NR, Color, Dolby, DTS Surround Sound, Language: English, Number of discs: 1, Run Time: 150 minutes.